Why didn’t I receive any chocolate? Because it’s all Capitalist Dog’s fault! Yes, I remember inequality existed even in elementary school. 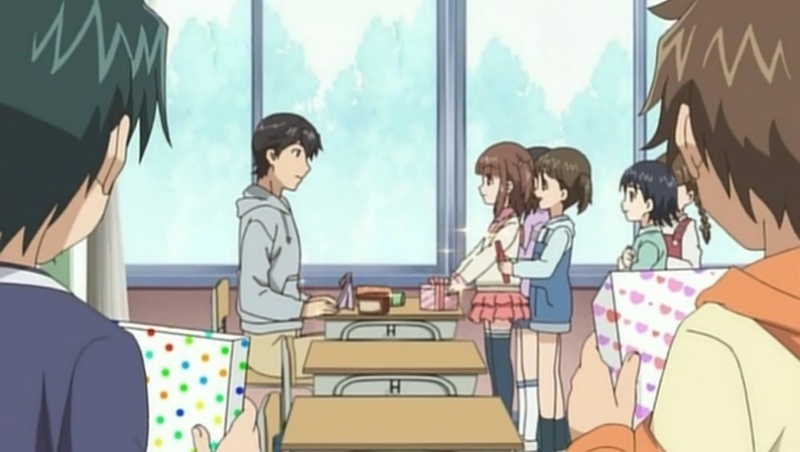 That Valentine episode so reminds me of that painful unjust memory. Marfan Atsushi, probably about six feet tall even though he’s still a 5th grader, gets all the attention from his female classmates. “What kind of chocolate do you want for Valentine’s Day?” He’s already kachigumi (winner class). Riaju must explode! Yes, Valentine’s Day is a product of capitalism, especially romantic capitalism (恋愛資本主義). 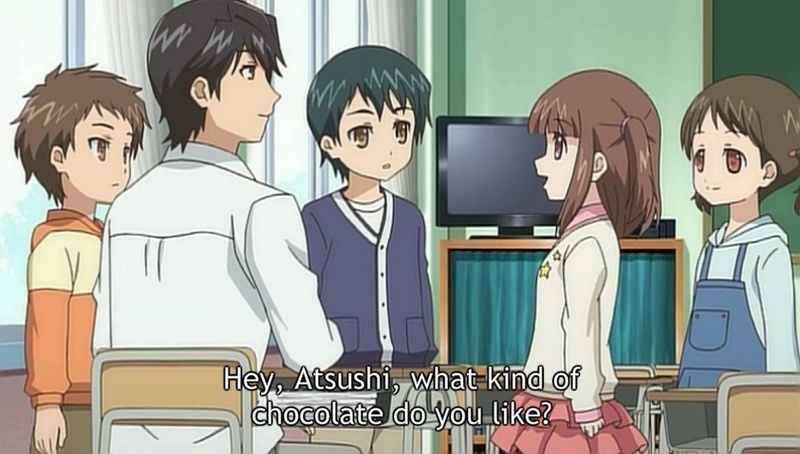 So, I suspect Shiba-inu-ko-san is the ghost writer of this particular episode, “Atsushi and Chocolate.” Yes, as a televangelist of romantic capitalism! 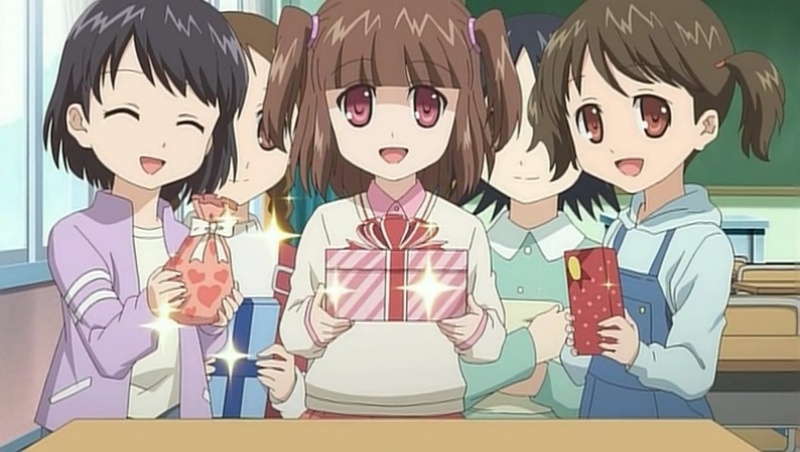 Indoctrinating these innocent lolis with the idea of how love can be bought through commercialism. And when they grow up, the worst possible outcome would be enkō. Keep your corporate hands off our children! Yes, ren’ai-shihonshugi-no-inu (恋愛資本主義の犬)! 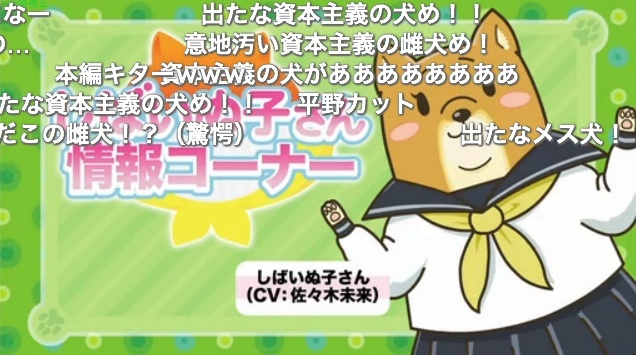 “Romantic Capitalist Dog.” Here’s an ode for you, Shiba-inu-ko-san! She’s far worse than Capitalist Pig from DMC! Thanks for the comment! Yes, we know it, right?